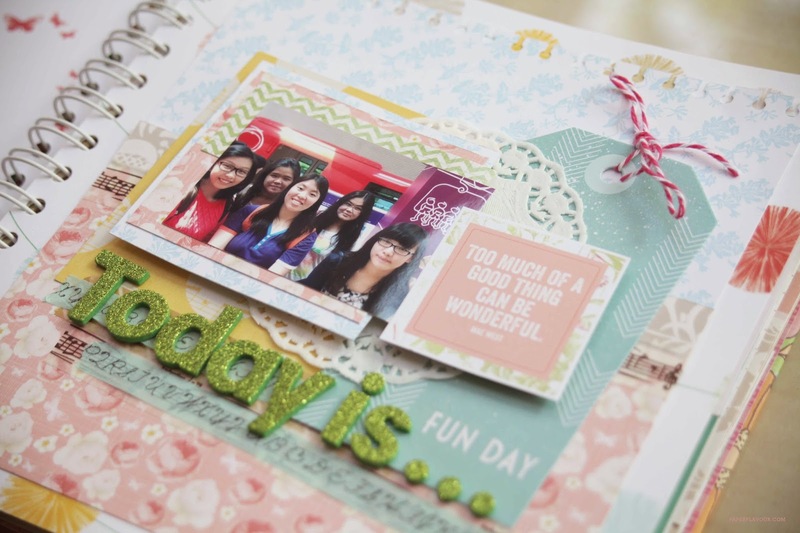 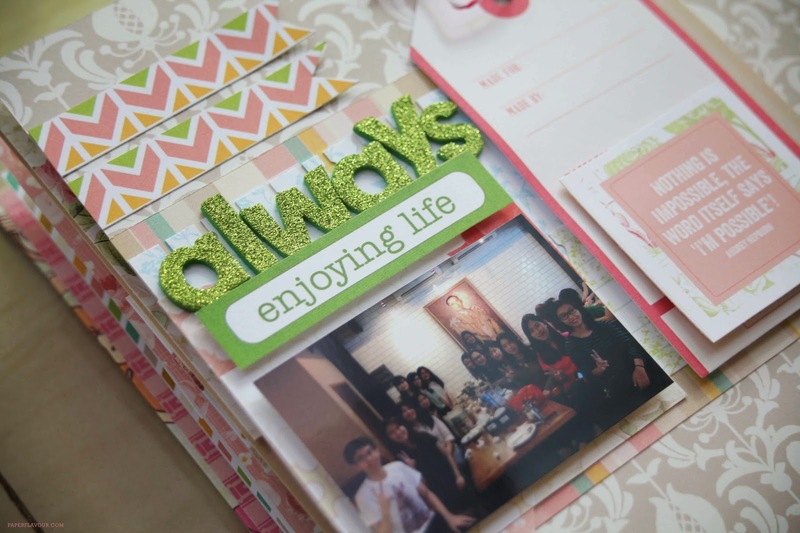 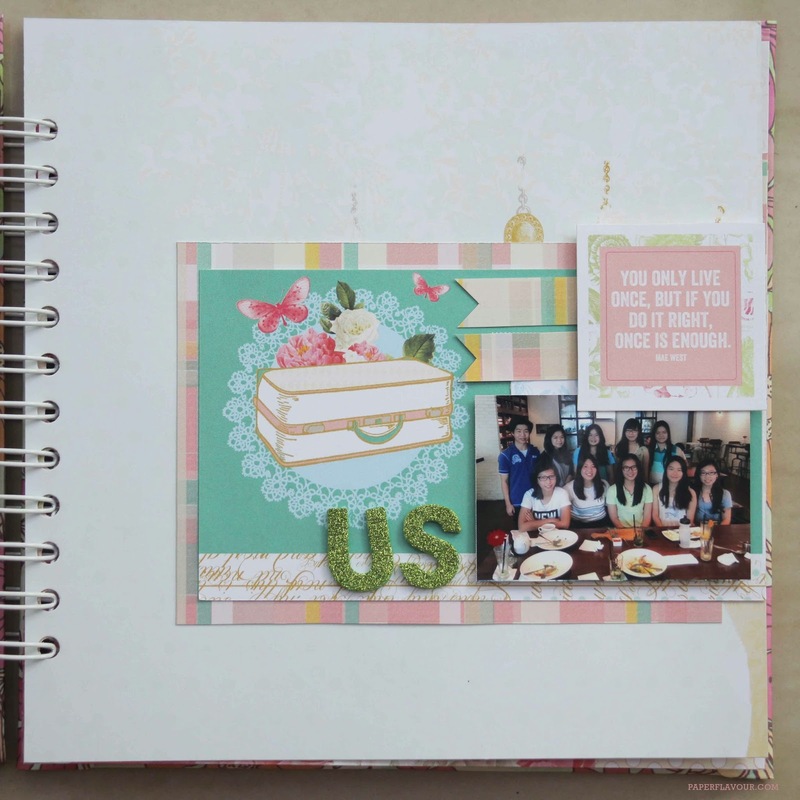 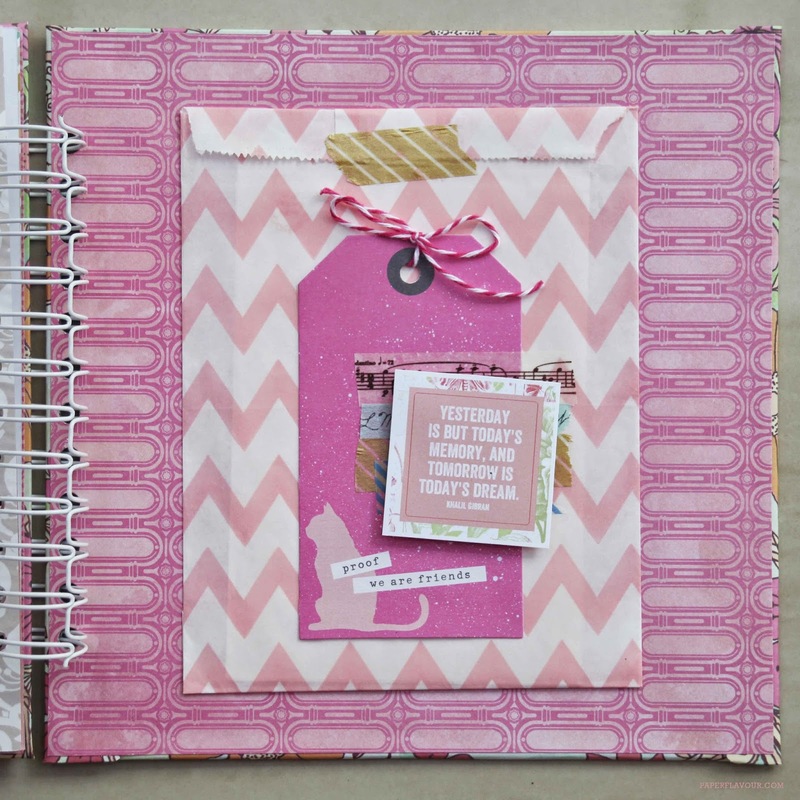 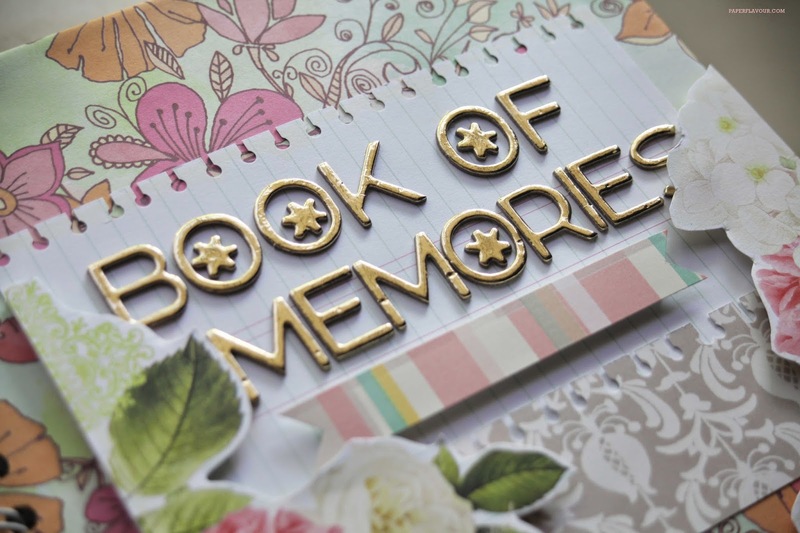 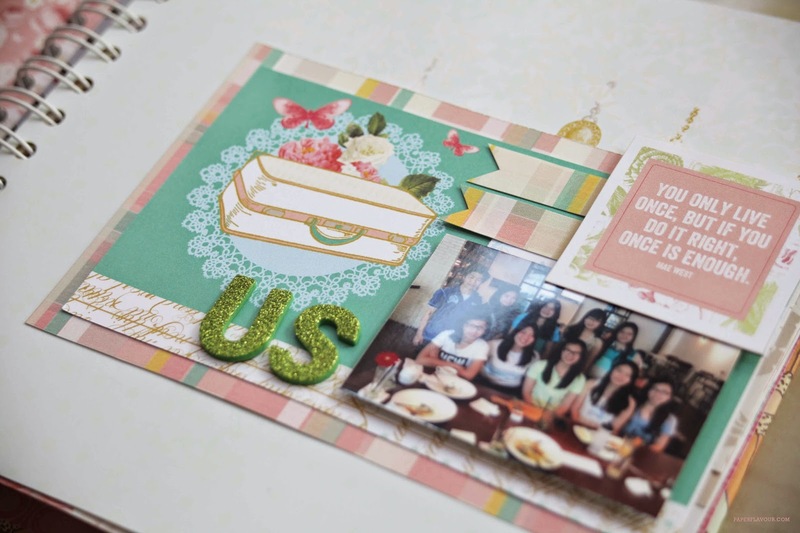 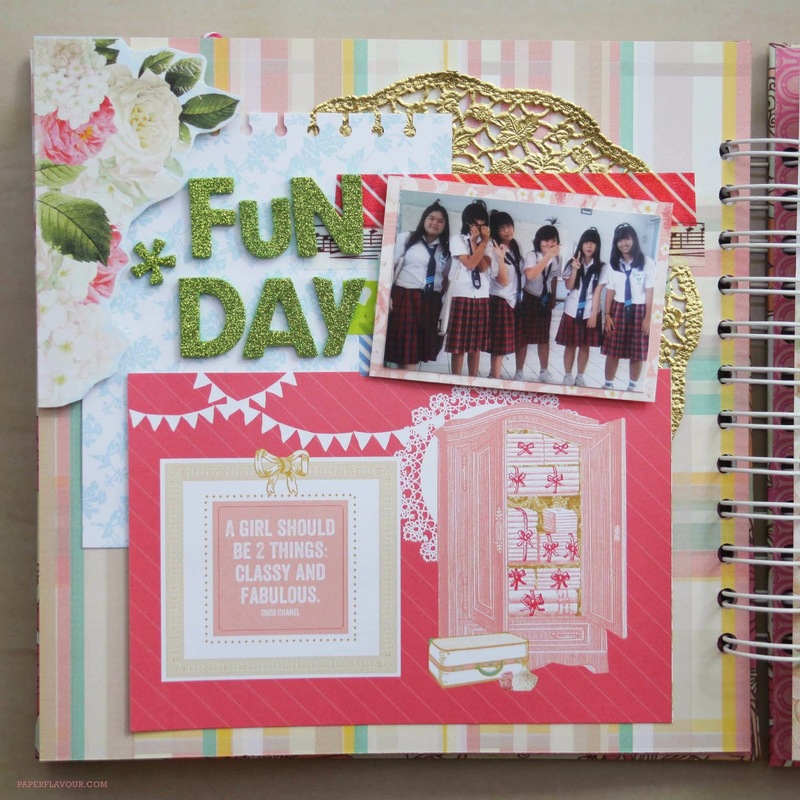 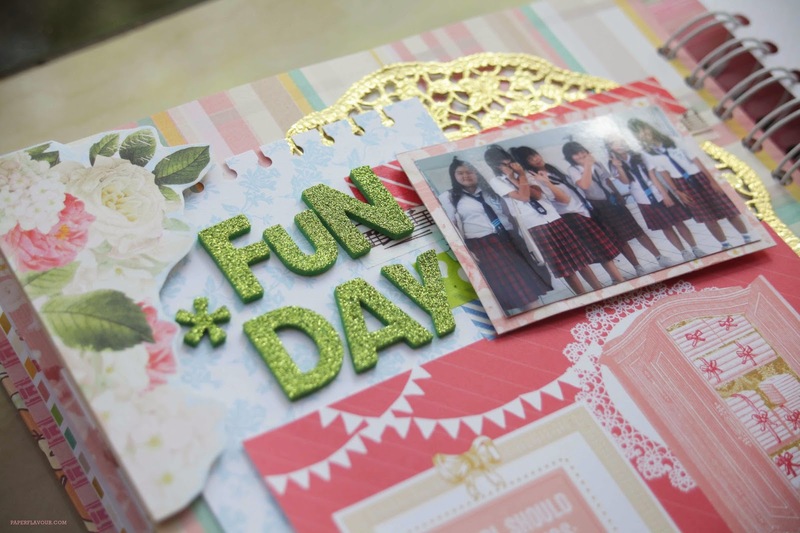 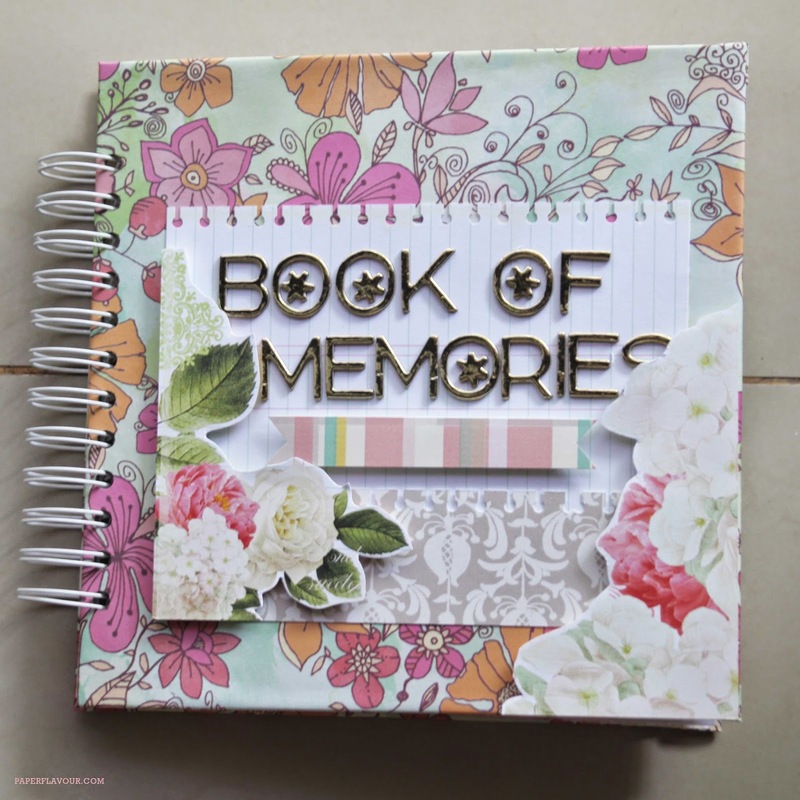 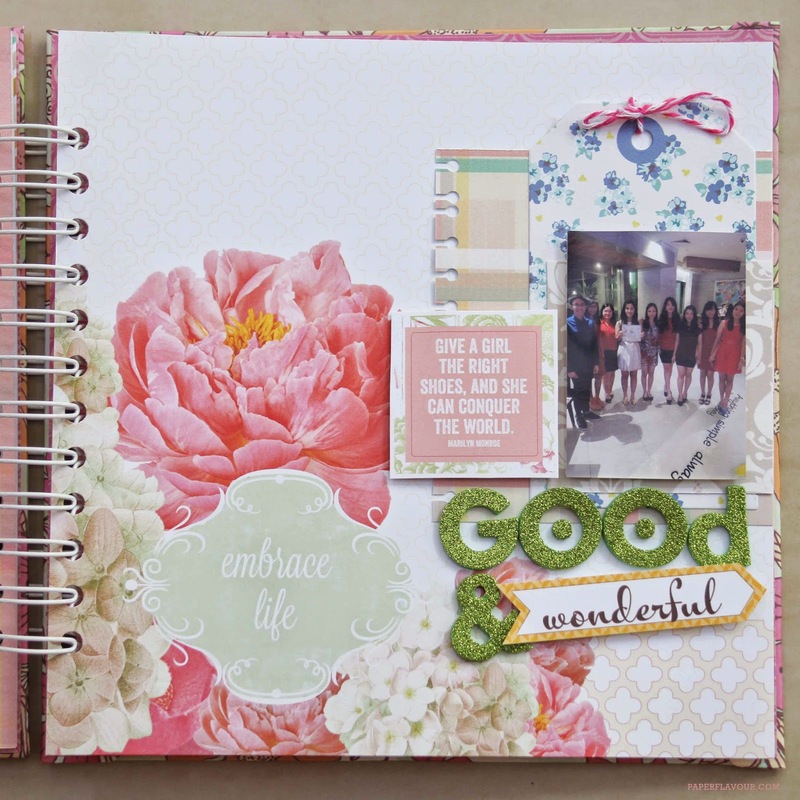 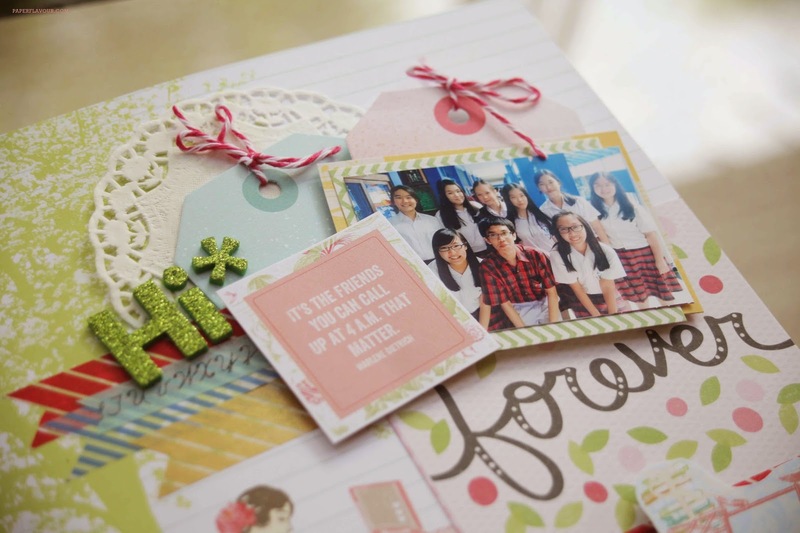 One day I got an order to make a Scrapbook Album sized 20x20 cm. 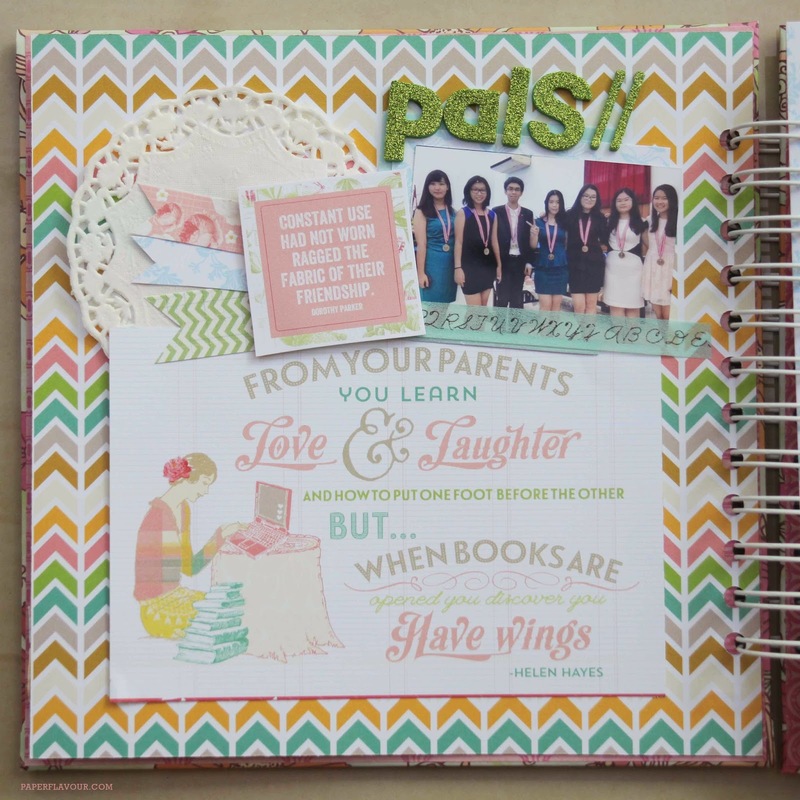 So here what I made using Webster Pages collection. 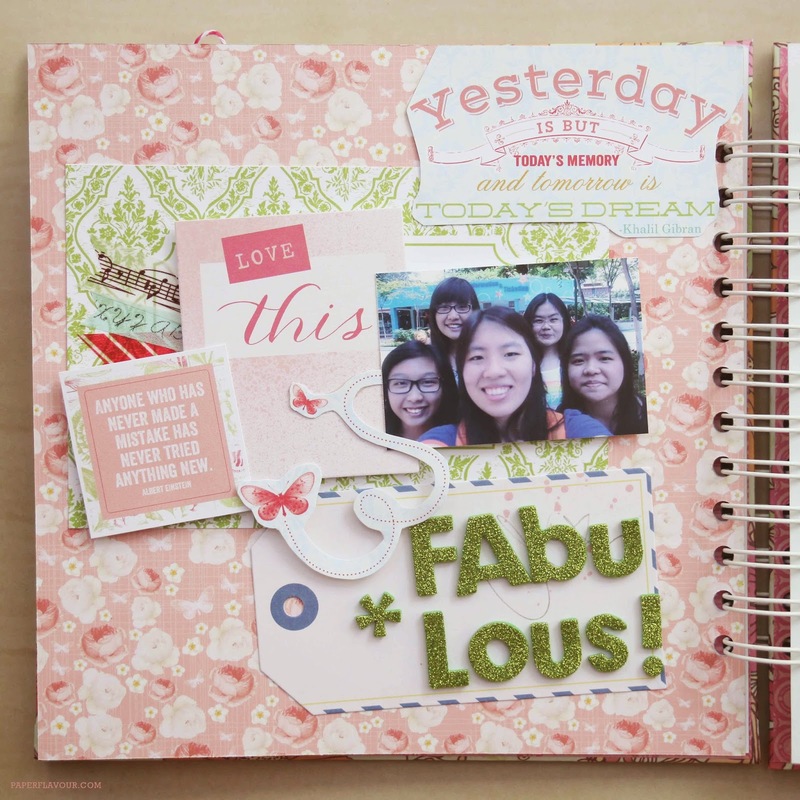 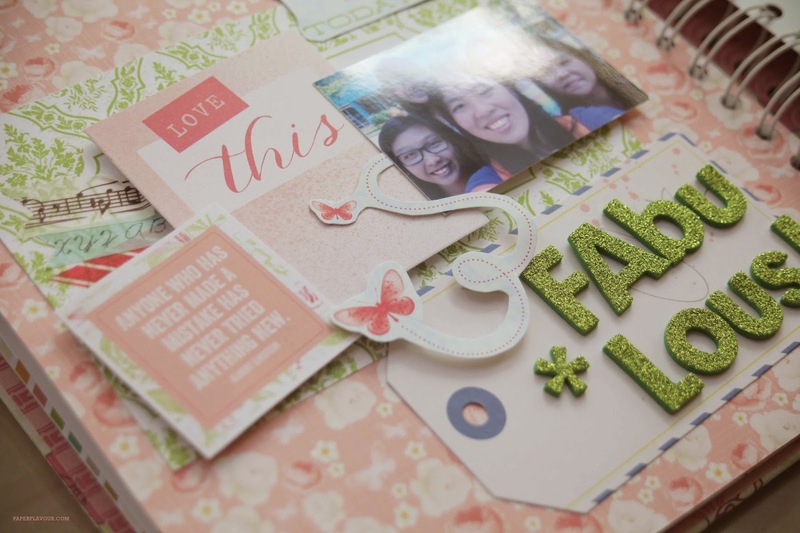 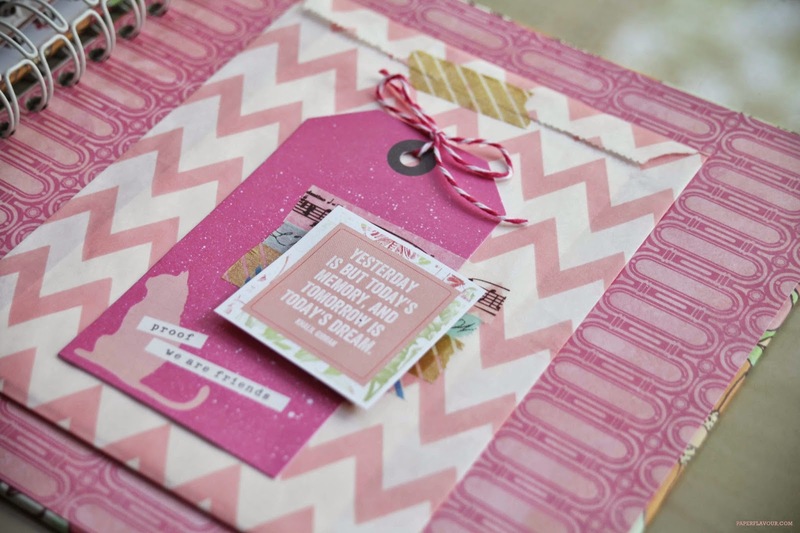 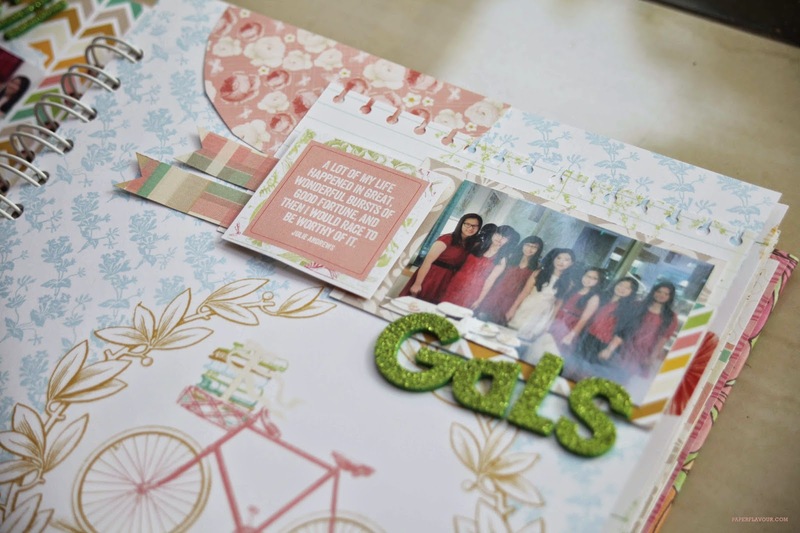 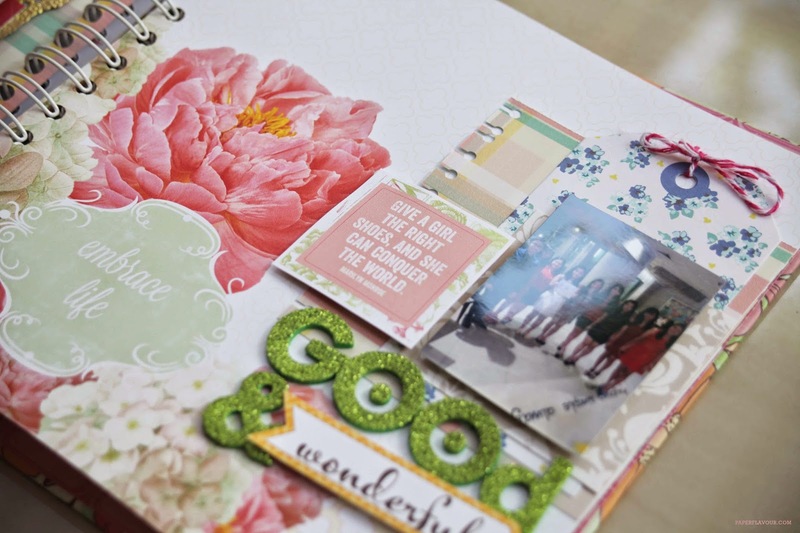 So adore the supplies, it so pretty and fab. 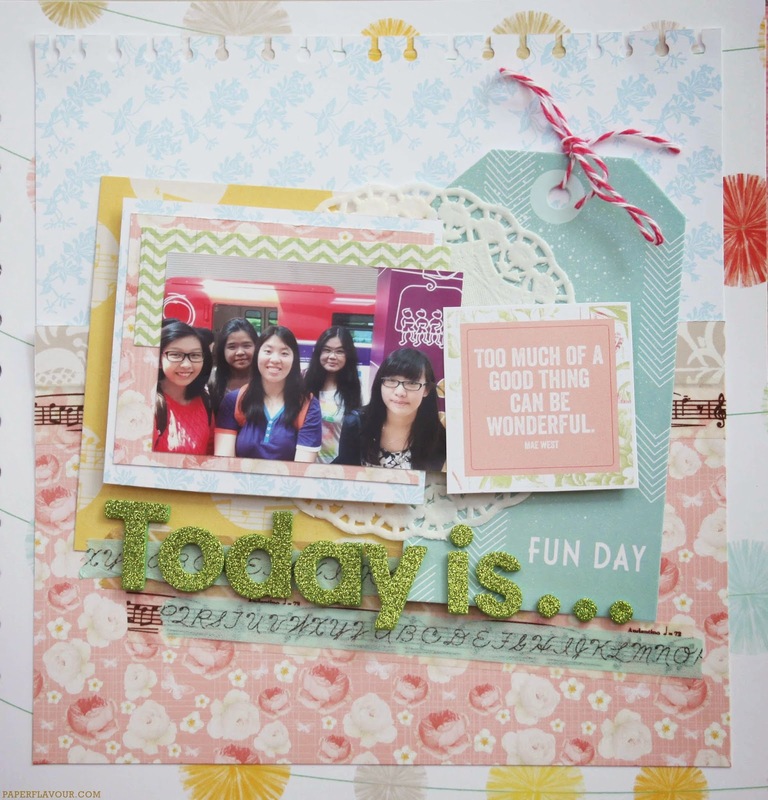 This one I made using color pallete from Color Me Scrappy, Color Challenge #68. 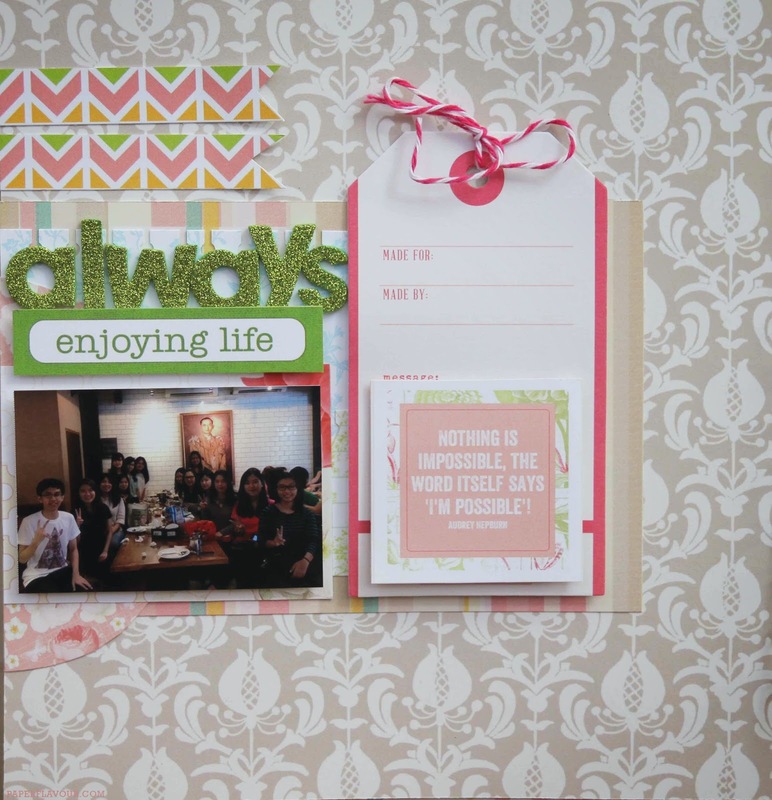 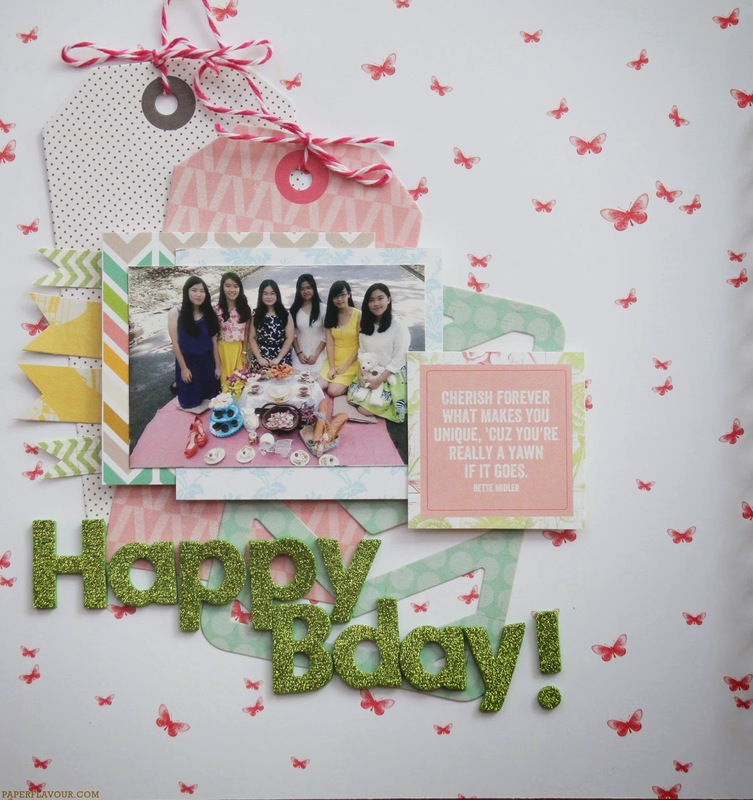 The inside of back cover, I put a chevron patterned paperbag that contains lot of happy birthday notes.